Take 3 days to ascend the famous Huayna Potosi in the Cordillera Real. This trip, guided by IFMGA-certified Jaime, includes a day practicing at the glacier. This is your chance to climb the renown Huayna Potosi (6088m), a jewel of the Cordillera Real. This beautiful mountain is in the Central Andes, in Bolivia. This ascent doesn’t have special technical difficulties. Therefore, it is perfect for a 3-day program. And if you only have 2 days it’s also possible, check the alternative program here. 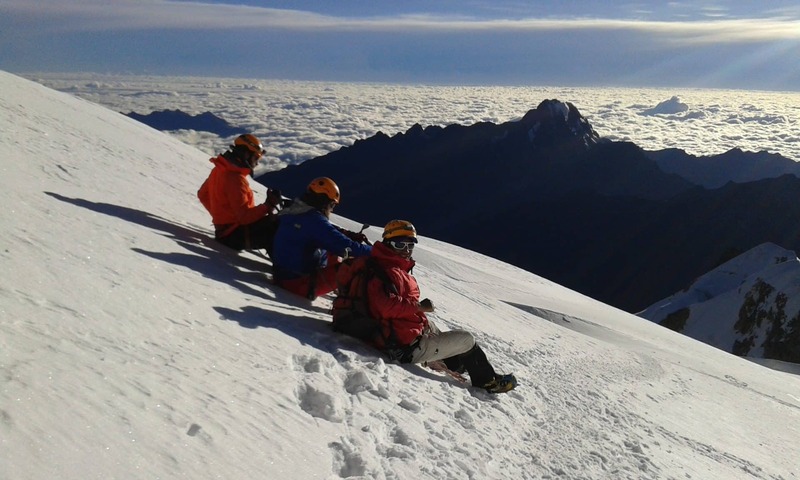 During the first day we will practice at the glacier near the base camp of Huayna Potosi. In fact, it will be great to improve your high mountain skills. In addition, if you don’t have much experience in the mountains, I recommend this option. The next day we reach the high camp, and finally we get to the summit on the last day. Do you want to join me in this program? Then don’t hesitate to contact me! It will be my pleasure to guide you to the top of this majestic peak. 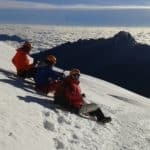 IFMGA/UIAGM mountain guide from Bolivia. I organize mountaineering and trekking trips in different regions of Bolivia, and community tourism as well. I spend my free time exploring new destinations and discovering new mountains and cultures in remote regions. I have more than 20 years of experience working in Cordillera Real, and I live in Tuni, Condoriri. I worked as mule driver, porter, cook, trekking guide assistant, trekking guide, and finally became IFMGA/UIAGM mountain guide in 2008. I made several ascents in Bolivia and neighboring countries like Argentina, Chile and Peru. 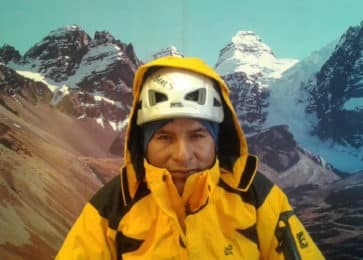 Some of them: Ojos de Salado, Wallatiri, Urus, Azangate, Huayna potosí, Illimani, Chir oco, Chachacomani, Sajama, Illamapu, Acohoma, Chapi orco, Acotango, Parinacota… These experiences prepared me to organize and guide expeditions. I like to provide a top level service to people from all around the world, help them get in contact with the local culture, and of course help them reach their objectives in the mountains. Mountaineering - 12 days - Interm.